Comprehensive, up-to-date, and problem-oriented, Introduction to Electrical Engineering is ideal for courses that introduce nonelectrical engineering majors to the language and principles of electrical engineering. It can also be used in undergraduate survey courses taken by electrical engineering majors. 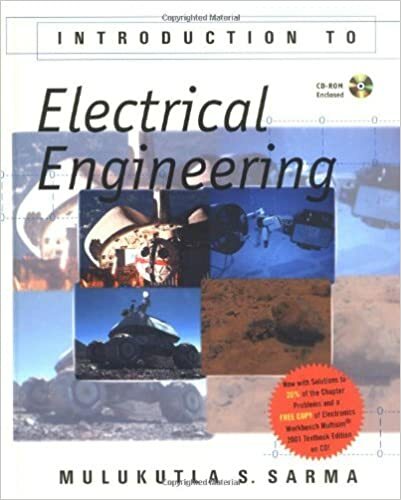 Covering a uniquely broad range of topics, this text discusses the underlying concepts and methods behind various electrical engineering applications--from consumer gadgets and bio-medical electronics to sophisticated instrumentation systems, computers, and electric machinery. Sarma highlights basic physical concepts while also emphasizing mathematical techniques, motivating students to learn the material in a logical sequence beginning with physical principles and extending to processes, modeling, using analytical techniques, and finally, designing. Features * Incorporates practical and open-ended case studies at the end of each chapter * Includes over 1,000 end-of-chapter problems, a wealth of examples, and over 1,500 illustrations * Offers comprehensive chapters on signal processing, control systems, and communication systems * Provides integrated coverage of MATLABRG and SPICE * Adopts a modern focus on design and teamwork * Contains complete solutions to 20% of the end-of-chapter problems on http://www.mssarma.org * Includes helpful appendices on the FE examination; mathematical relations; solution of simultaneous equations; complex numbers; Fourier series; Laplace transforms; and more A Complete Support Package * A Solutions Manual by M. S. Sarma contains complete solutions for all problems. * A CD-ROM containing Microsoft PowerPointRG Overheads provides over 350 text figures and captions formatted for classroom presentation.